Football is not longer just something that takes place on the pitch. Most football brands have developed to include the entire lifestyle surrounding football both on and off the pitch. Unisport look of takes a look at this part of football that takes place after the floodlights have been switched off and the fans have left the stadium. Puma have been making football equipment for as long as we can remember, and today Puma is among the most popular brands when we are talking football boots and football shirts. But Puma are just as good when it comes to making clothes to wear in various sports and leisure situations. They have proved this both via the brands long lifetime, but also by attracting a long range of stars to their family – including Mario Balotelli. Puma have always delivered, both in terms quality clothes, as well as cool designs. And this track top is a representation of just that. 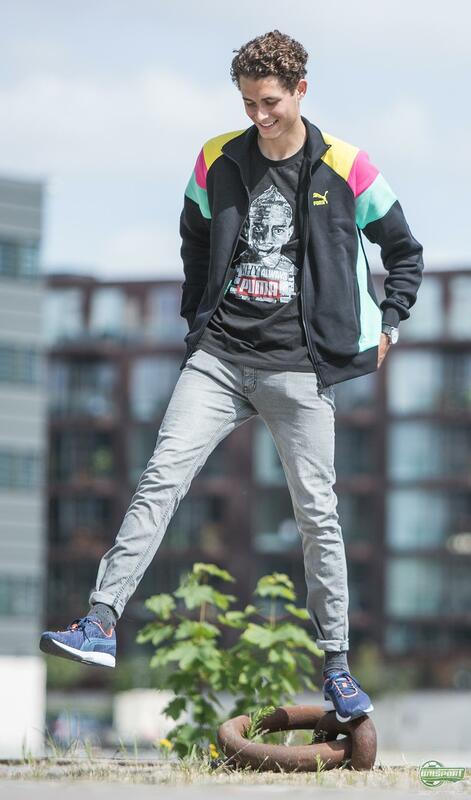 In a mix of modern and classic design, Puma have created a timeless track top developed with the best of Puma technologies. The outside is made with a cotton material, while the inside is made of a soft fleece material, which will keep you both warm and comfortable. 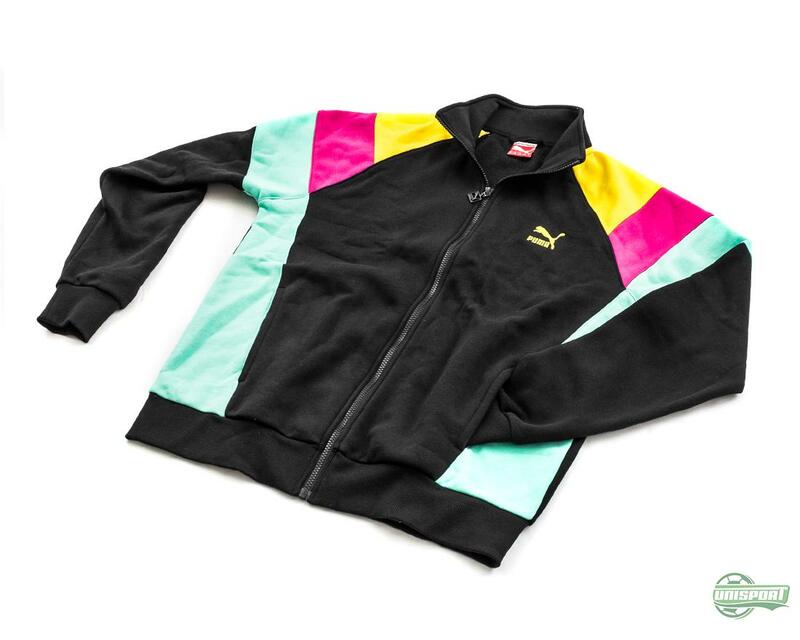 Find the lush Track top Seasonal Fleece from Puma right here – just 70 Euro. Puma are know to have no fear of going against the norm when it comes to design. This is evident by, among other things, the Puma Tricks collection, where there two silos evoPOWER and evoSPEED come with a pink right boot and a blue left boot. But Puma's courage to go against the stream is not just limited to their football boots. Their selection of representatives is also very carefully picked out. For example, they could probably not have picked a better figure the Super Mario himself, when they were on the lookout for ambassadors. 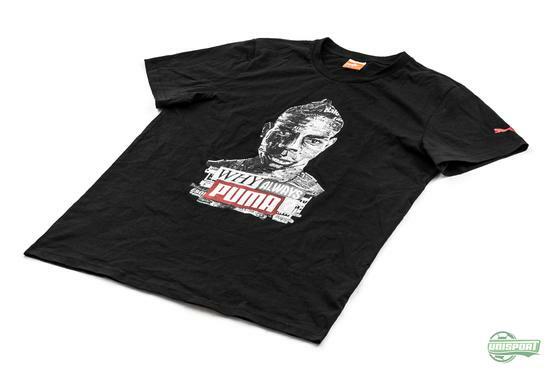 It is not hard to see that Puma are very proud of having brought Balotelli into their family. 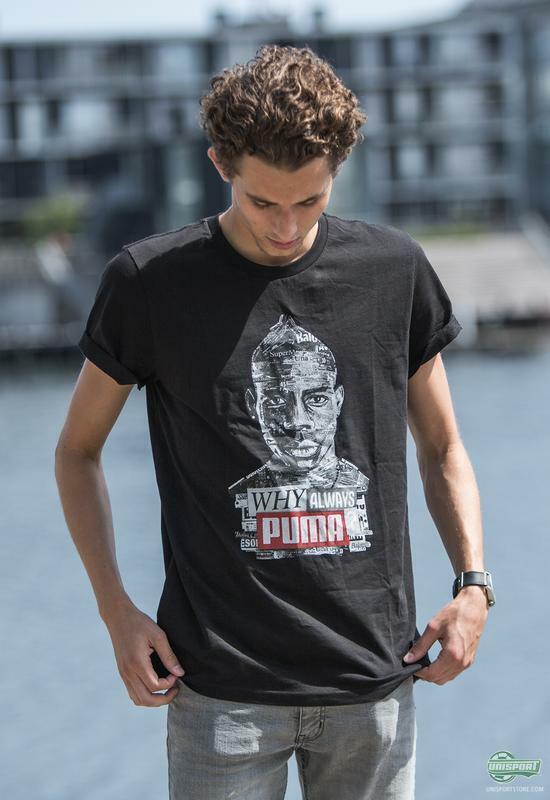 They have, among other things, used him in their t-shirts where Balotelli's famous quote Why always me? Has been borrowed and modified to read Why always Puma? Can't get enough of Puma? Find the Balotelli shirt right here – just 32 Euro. Also when it comes to sneakers Puma know the game, which is something they prove with Nartia V2; a stylish fashion shoe that really manages to give your feet the comfort they need. 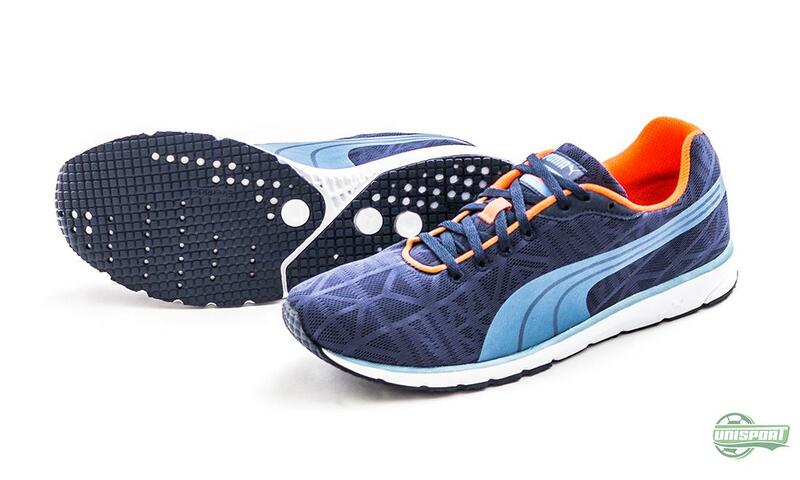 Classy colours with a touch of orange results in a shoe that will fit nicely into your collection, while the soft EVA foam around the midsole, coupled with the upgraded EverRide on the outsole makes the shoe highly comfortable and durable. 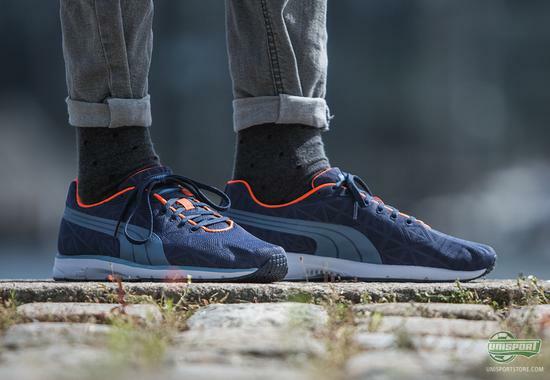 Find the Puma Narita V2 sneakers right here – just 83 Euro. And while we have dressed our male model in clothes from Puma, we have not forgotten about the girls. 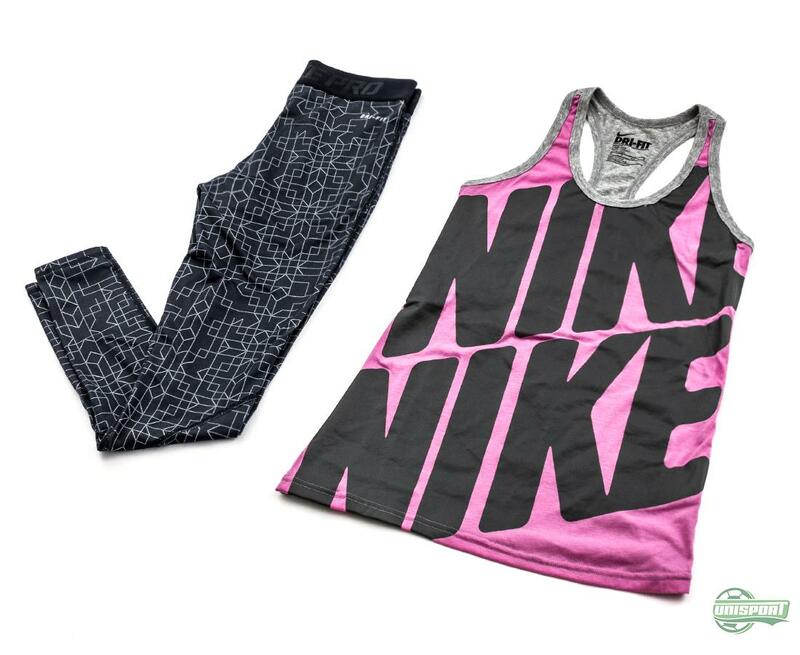 Here we have looked into Nike's collections to find some super nice training wear. With nice and feminine colours, as well as daring design, Nike provide the girls with some of the very best training wear on the market. Nike is one of the most popular sports brands across the world and with the popularity naturally follows a responsibility. Therefore, we always know that we can expect nothing but the best from them, whether we are talking about training shirt, training trousers, running shoes, or of course football boots. And something that Nike are particularly good at, is to combine sports and fashion in one piece of clothing. For example their Tank Top and also these tights from their Pro Hyper collection. These Hyperwarm are developed with their Dri-Fit Max technology that makes it incredibly comfortable for your entire body to perform, as the clothes is able to keep your body temperature at a nice and comfortable level, as well as keeping you dry and wicking sweat and moisture away your skin. You can find Nike's tank Top Blast Racerback Pink/Grey right here – just 26 Euro. And don't forget the Pro Hyperwarm II Tights with futuristic print right here – 58 Euro. 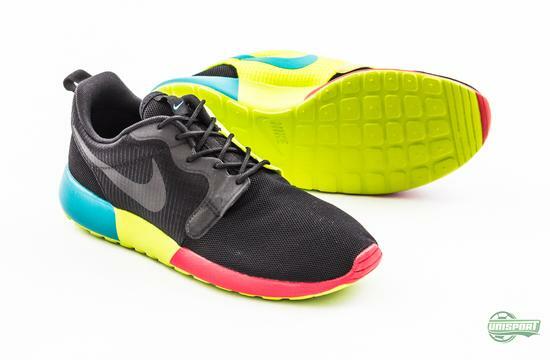 You also have the opportunity to really care for your feet with Nike's Roshe Run collection, which has been hugely population since it was introduced. The shoe is a perfect combination of a sports- and fashion sneaker and includes some iconic fashion elements, which allows you to really express yourself via your shoes. 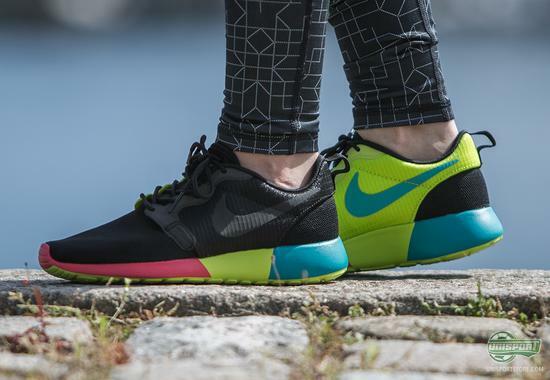 Find the super cool Roshe Run Hyperfuse Black/Blue/Green/Red right here – just 86 Euro. With the world cup in full swing it is of course hard no ignore, and we neither have we been also to keep away from some of the hottest World Cup equipment right now. The Nike Superflys have very much taken the world by storm. Also the World Cup ball, Brazuca, deserves some attention. The innovative football has been praised, and after adidas have spent fours years developing the official World Cup football, it has also managed to deliver some extraordinary goals in the World Cup. You can buy the Mercurial Superfly Hyper Punch/Gold/Black right here – just 275 Euro. 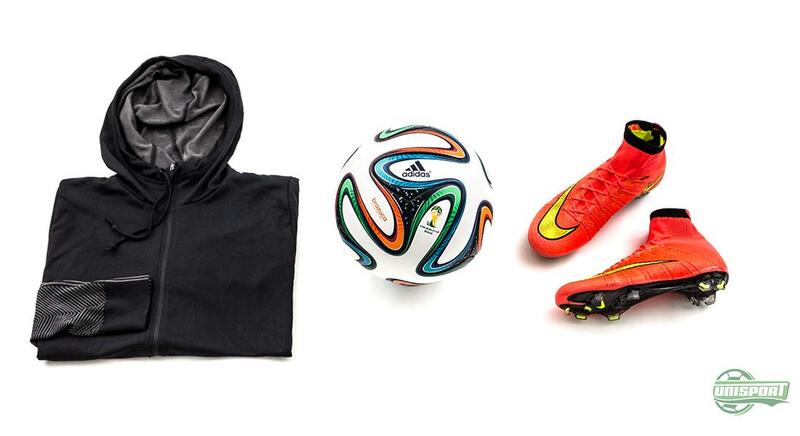 Get your hands on the popular Brazuca right here – just 117 Euro. Whether if you're a boy or a girl, 'Unisport look of' will shoe you that there is not reason to doubt. The various brands are showing true summer spirit and the products displayed here are just a little sample of our extensive selection. But what brand is your personal favourite and why? Take your football passion to a social level and share your comments on Facebook and Instagram.